Doers: Let’s roll up our sleeves and embrace risk! 24 buspreneurs x 5 buses with Danes, Dutch, Swiss, Germans, French, Brits, Americans, Greeks, Spaniards, Canadians, Czech, Indians, and Swedes hitting the European roads for 4 days. The ingredients to a StartupBus / FounderBus ride were simple: highly creative and slightly crazy entrepreneurs ready to board a bus with like-minded people to found a startup. The recipe is rather simple: gather the buspreneurs, confine them on a bus, push them to their limits, and add as much fun as you want. There you have it: a successful ride to Paris with a team pitching their idea on stage at LeWeb! 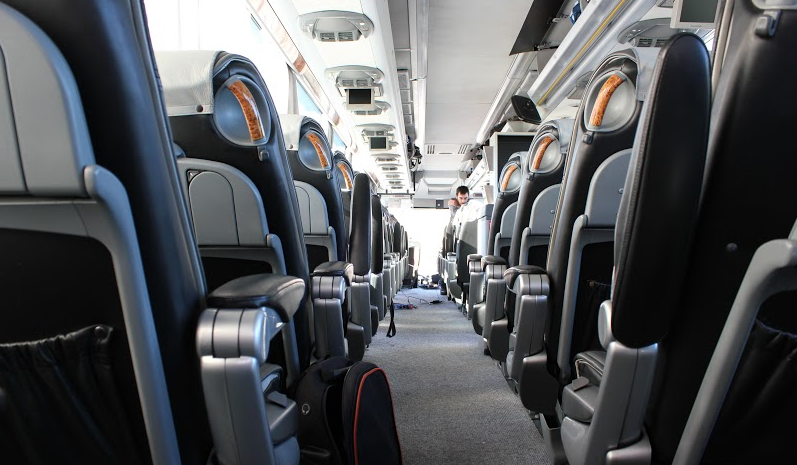 Each bus had several teams who worked day and nigh on their product, mostly mobile, to have and deliver a great pitch at the semi-finals on Sunday and the finals in Paris on Monday. Teams went through the ups and downs of fighting for an idea, developing a business model, working their magic on mock ups, and most importantly managing to use each teammate’s skills to develop and eventually pitch a product that would convince the jury. Some teams split, other teams showed great spirit. All buspreneurs worked until the last minute to prepare for their pitch. What came out of all the pitches was the energy deployed by the teams throughout these 4 days. The adventure ended on Monday night somewhere near Hotel-de-Ville, with 120 entrepreneurs savouring the moment. One team went to bed early, the ones who pitched at LeWeb yesterday. Recollecting my thoughts on my way back from Paris on the TGV I started thinking about the thing as a whole. What struck me on the past few days was the shared interest of the buspreneurs. The EU was recently awarded the Nobel prize for facing adversity together and not giving up all the work accomplished. The EU is one thing, the European entrepreneurs are another. There is a hype about the startup scene in Europe, no question about that. Beyond the buzz and the sexyness of working at a startup in a renovated warehouse somewhere in Lisbon, London, Zurich or Berlin, there is something rising from all this. Young Europeans – I mean people living in Europe as a continent – have started to consider entrepreneurship as a real possibility compared to a job in the corporate world or in government. With the economic downturn, a whole generation has nothing to lose. Entrepreneurship is alive and kicking. 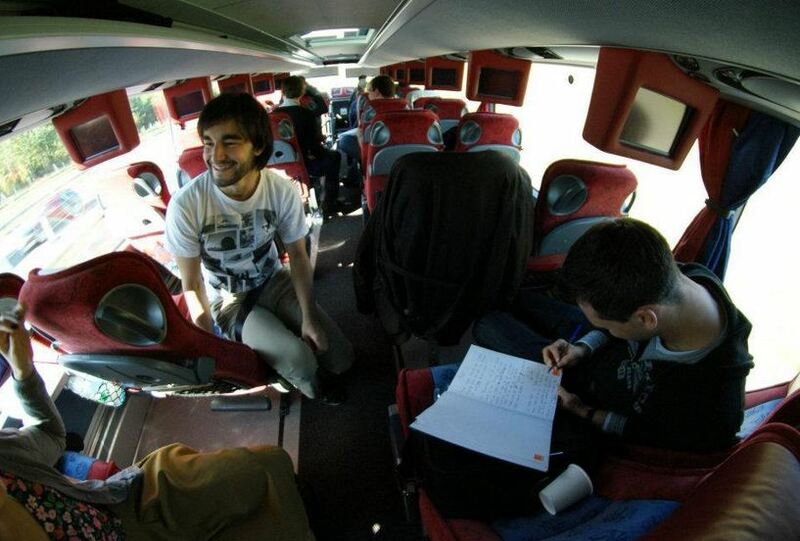 Private initiatives like The StartupBus and the Failcon conferences help in two ways. First, they show a new path for younger generations, making entrepreneurship a career decision as legitimate as taking a job in a company. Being an entrepreneur can be founding a startup that is going to grow from 5 to 200 in two years and to successfully raise capital. It’s also about starting one own’s project, like a small agency. It’s all about taking a leap of faith and taking risks. In that way, such initiatives help take the heat out of risk, making it seem more acceptable. I applied to the StartupBus competition because I wanted to get first-hand experience of what it takes to start a business and have an insight of the intrinsic processes implied, with their share of joys and difficulties. Coming from a public policy background, I wanted to put myself in the entrepreneurs shoes and grasp their reality. The StartupBus’s point is to show a path and to connect entrepreneurs, forming a community of like-minded people. It also shows entrepreneurship as it is. Not all succeed, but going through such an experience opens new possibilities. Anyone can be crazy enough to start their own business. If such a community wants to grow, it will take commitment of alumni buspreneurs. Personally, I want to nurture the connections I made and push for more women on the bus, not to reach quotas but for empowerment and enhanced diversity.